A friend of ours recently gave us one of my favorite housewarming presents ever: A pot of Walking Onions. Walking onions are onions that don’t produce flowers as they get older. These onions instead produce clusters of mini-bulbs at the end of every stalk. Eventually, the weight of the baby bulbs causes the stalk to fall over and touch the ground. From their, the onions start an entirely new plant! It’s an onion that plants itself! Also known as tree onions or Egyptian onions, the walking onions are a bit strong in flavor, but make excellent scallions in the Spring time. As the bulbs mature in the ground, they elongate, similar to leeks. They can be peeled and fried or chopped up to add to any dish, just like any other onion. The bulblets are tiny little things, but they can be pickled, eaten whole or cooked into other dishes as well. It’s one of my favorite things to plant, because once you get some in the ground, you don’t really have to pay them any attention again. 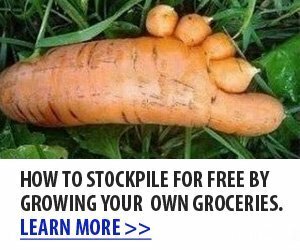 You probably should put them in a raised bed. If you aren’t careful, the little darlings will take over a patch of earth. If you keep an eye on them, and harvest them regularly, then you won’t have to worry too much about them. While they are considered invasive, they aren’t as tough to manage as mint, or other invasive plants. Harvest the tiny bulbs when they’re about the size of a pearl onion (approximately 1/2 inch in diameter). Mature bulbs can be harvested from under the ground whenever they’re ready. Trim the stalks off with scissors or a harvesting knife to gather the green onions. Come winter time, it’s a good idea to mulch them, just to give them a head start on the growing season in the spring. Like most bulbed plants, however, the plant will go dormant through the colder months and return as soon as it’s warm enough. If you’re interested, you can purchase them here, although they won’t ship until Sept/Oct. We get emails here at From Scratch Magazine. We get lots of questions. Questions about crops. Questions about animals. Questions about food. This question is from people who work outside of the homestead to support themselves. They wake up every morning and leave their house to work a job for someone else. They don’t want to. They want to spend all of their time working on their passion. So, they ask me how do you work from your homestead and not starve? As I was working in my traditional corporate job – I asked myself this very question many times. And I was talking with one of my dearest friends and colleagues – Shaye Elliott, from The Elliott Homestead about this very issue. You see, Shaye and I have done this very thing. We completely support our family and work full time from our homesteads. We both started our own essential oil business with doTERRA. Even though I have always had a passion for Homesteading and the Homesteading movement – I also had a passion for paying the mortgage and having the money to pay bills. So, I worked for someone else while I homesteaded. I worked while we started From Scratch Magazine. I worked until I could afford to quit. How did I afford to quit? I worked part time while I worked full time. I worked part time on the side until I made more money part time than I did full time. I made a decision. I decided that I was going to figure out a way to marry my passion for a sustainable lifestyle with a way to make a living. And I did. Now I work from my homestead full time and I LOVE what I do. And you know what? My husband does the same thing. We BOTH work from home. In fact, right now as I type this – he is finishing up a book that he is writing about homesteading. We get to live this passion. And we want to help you do the same thing. So, we have decided that we are going to focus on helping people be able to support themselves financially. Because that is what homesteading is after all.. Freedom. Freedom from the rat race. Freedom from a job that doesn’t ignite us. So, we are having a webinar this Sunday at 8PM EST. We are only accepting 10 people for this online video call. Shaye and I will work with these 10 people to transform their lives. And we will do it personally. You see, we care about this community. And we see people struggling and wanting to change the way they live and we want to help you achieve your dreams. Are you built for 9-5 work? I bet not. That’s probably why you’ve landed here in the first place. Perhaps you’re looking for satisfaction in your work that you’re just not finding. Or maybe even you’d just like the opportunity to work at your own pace and on your own terms. What if I told you that was actually possible? I can relate to that – always an entrepreneur at heart. For as long as I can remember, I’ve wanted to be my own boss. Set my own goals, rules, and schedule. And yet often, we begin our adult life with great passions that somehow drift away and we wake up to find ourselves following the “everybody does it” traditional path of working all day to pay the bills so we can keep the lights on and food on the table. I worked in the corporate world and remember staring at my desk thinking “This is it. I’m going to die at this desk. This is all I have on the horizon for the next three decades.” That works for some people. Not for me. I needed a vehicle to help me fulfill my ultimate dreams and purposes. Because I had (and still have!) big ones. Do you? I bet if you tap into that piece of yourself, and actually allow yourself to dream, you can most certainly relate to those shared feelings. WHAT IF YOU COULD CREATE A CAREER YOU LOVE? I’ve been where you are. I wanted to homestead fulltime. I didn’t know how I was going to do it. We always had grand aspirations, but never had the financial backing to make any of those possible. I started From Scratch Magazine as an outlet to build community and share this common vision of living closer to the earth. And I wanted to help as many people as possible. I wanted something I could share with others and build a community around. 2014. That was the year I was introduced to dōTERRA essential oils. Nope, I didn’t see the potential at first. Once I got over my initial skepticism, I had lots of reasons why this opportunity wasn’t for me. (“I’m too busy… I have a magazine… I homeschool…I have to work…”). We all have excuses. But wouldn’t you know it, those crazy oils kept giving me results, and after several profound experiences with them, I couldn’t help but share. My passion quickly morphed into a business, and once I made the choice to take the opportunity seriously, I started to see massive growth. At first our paychecks were small… $19, $36, $249. Within a matter of months, we were making enough for me to quit my traditional job and be able to focus 100% of my efforts on From Scratch Magazine and doTERRA. Fast-forward 2.5 years? dōTERRA is my family’s full-time income. I set my own hours and run the business right here from our homestead while we homeschool, run a magazine and promote the homesteading movement. My husband runs the homestead and the magazine. He is writing a book right now! I get to connect with people all over the world and have a front row seat as I see lives being changed – both from the essential oils and from the business growth. We found the vehicle to achieve our financial goals and then some. Sharing the beauty of essential oils has become a part of my life. It’s what I do. My dreams and mission have only become bigger. These oils have a big story and I’m going to keep telling it. If my guess is correct, you may be looking for a vehicle to help fulfill your financial goals as well. Think it’s too late? Guess what? It’s not. You still have an opportunity to create a job that YOU LOVE. The best way to start out on a new path is to find someone who’s been there, done that, to walk alongside you. And I’m willing to be that person. I’m currently looking for highly-driven, motivated people to partner with on my dōTERRA team. I’ll provide the training, you bring your passion and determination. My team is already filled with success stories. Will yours be next? The opportunity to share life-changing products as you partner with a mission-focused, humanitarian-minded company. Coaching by me and my frontline team leaders–it is our goal to see YOU succeed in your business. Access to our private team Facebook discussion groupswhere you’ll learn how to use your oils and build your essential oil business. Access to our three-week ‘Launch It’ training that will fast-track you to effectively and confidently sharing oils with the people who need them. The limitless possibilities that come with experiencing joy in your work. No. Pyramid schemes are actually illegal. This is authentic network marketing– they are very different. doTERRA is a product-based company with an extremely high customer retention rate because the oils work. ARE THERE ANY MINIMUMS OR QUOTAS? After starting with your initial kit (these start at $150), simply commit to ordering 100PV (roughly $100) per month. This ensures you are using the product you are sharing, and gives you a chance to try all the products. Other than that, there are no quotas, no sales minimums, and you do NOT need to keep closets of inventory. When you compare that to the start up costs of a traditional business, it’s quite remarkable, and makes it attainable for anyone to enter this business. THERE ARE LOTS OF ESSENTIAL OIL TEAMS…WHY YOURS? I can sum it up in one word: SUPPORT. I get frustrated emails from folks constantly who signed up under a random person, and now feel confused about how to use their oils or how to effectively share with others. My team stretches all over the globe, and I am crazy-passionate about making sure you have the information and training you need to feel confident in both using and sharing your oils. We’ve been there, done that, and will show you how. HOW MANY HOURS PER WEEK SHOULD I EXPECT TO COMMIT TO THIS? How fast do you want to build? You get to pick your pace, although I will say that it is easier to build fast than it is to build slow. I have people on my team sharing part-time at 5-15 hours per week, and I have others growing more quickly by committing 20-40 hours per week. This is definitely something we can discuss more over the phone. Most people have the best success with small, informal gatherings. (Either in their home, or at a restaurant or library). We have materials and scripts to help you get started with these. You can also share one-to-one or hand out samples, etc. WHAT IF I WANT TO START A BLOG TO SHARE OILS? I have used my blog platform to share oils with many people. However, believe it or not, I recommend that the majority of people NOT start this way. Unless you have an existing blog with traffic and existing readership, attempting to only share oils online can be extremely tedious and frustrating. You are much better off (and will see better results) by sharing locally. I am happy to discuss this more over the phone, though. I’M ALREADY ON ANOTHER DOTERRA TEAM. CAN I SWITCH TO YOURS? No, you will need to stay where you are. In order to preserve the high-integrity culture of doTERRA, I do not participate in cross-recruiting or coach people how to leave their existing teams. However, you will likely be able to find the support you need by reaching out to an upline higher in your particular structure. In this area, Cucurbit Downy Mildew and Powdery Mildew are a problem during the warm, wet months of the year. In Eastern NC, those conditions can last well into the Fall. So, it’s important to treat your plants with a fungicide application whenever conditions are right for fungal outbreaks. There’s a lot of different treatments for fungus commercially available, but, here at our Homestead, we’re both cheap and organic, so we make our own. Here’s our top three favorite all natural fungicides. So we don’t make Neem Oil, but this product is a powerful tool in an organic gardener/farmer’s arsenal. Derived from the seeds and fruit of the Neem Tree from the Indian subcontinent, this vegetable oil is an excellent product that can be used as a fungicide and a pesticide. It’s not harmful to mammals, butterflies, earthworms and a host of beneficial insects, including bees. You can buy Neem Oil here. We take lavender oil, tea tree oil (aka melaleuca oil) and peppermint, all of which are known fungicides, and mix those up into a great spray to prevent fungal infections (and it makes your garden smell great!). Mix eight drops of each oil into a cup of ethanol (cheap vodka works great. Bear with me here. Bacteria can occupy an ecological niche often exploited by fungal spores and, if you use the right kind of bacteria, then they won’t harm your plants and protect them. And look, I’m going to be honest here, I’m not entirely sure how well this works. I’ve been using a version of this method for a while now, but with everything else I use (see above), I can’t be really sure of the bacteria. I know it doesn’t hurt. I originally decided to use bacterial inoculant as a fungicide after talking to a group of ethnic Mayans from the Yucatan Peninsula. They visited an incubator farm project I was working while part of an exchange program. By using a translator and the smattering of Spanish I knew from high school, we discussed a traditional antifungal method. Essentially, by fermenting cooked rice — with the water — they’d make an inoculant of lactobacillus bacteria. Since then, I’ve used sauerkraut juice, diluted yogurt and more to achieve the same impact. It’s cheap, easy and worth trying. Note: If you use sauerkraut juice, make sure you use fermented sauerkraut — it’s easy to make and so good for you. The store bought stuff usually doesn’t have live, bacterial cultures. Similarly for yogurt, make sure you use plain yogurt with live cultures. Check the ingredients list. As far as how to apply: Take a cup of your inoculant (mix a half a cup of yogurt with water if you’re using that) and mix with a gallon of water. Spray liberally on your leaves and plants — don’t forget the undersides!